Last year, we collaborated with Jaymi Britten and released a calendar featuring her beautiful photography of Hawai`i's stunning views. 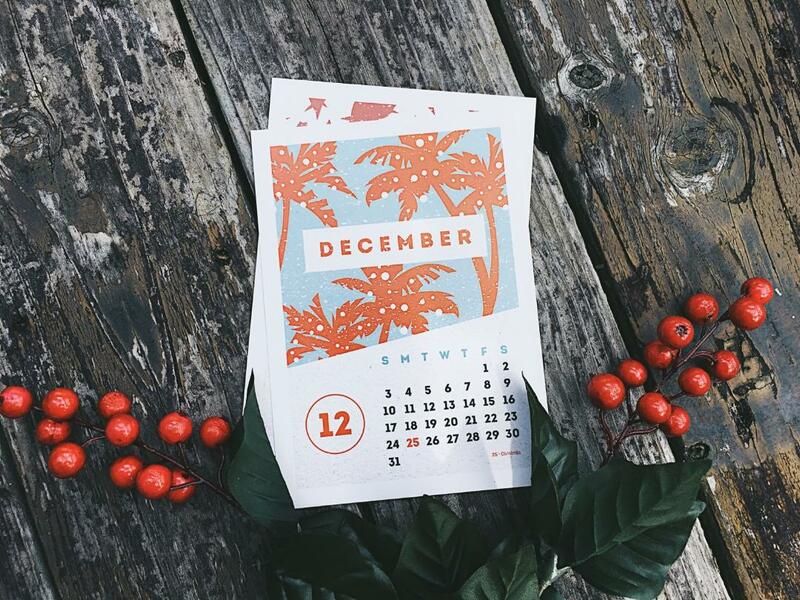 For 2017, I designed a 5"x7" desk calendar featuring minimalistic graphics inspired by life in Hawai`i; from the leis for May Day to waves for Hawai`i's summer destination beaches. Each month has a different design that is relative to a holiday which is celebrated that month (kind of. Don't ask me about October). 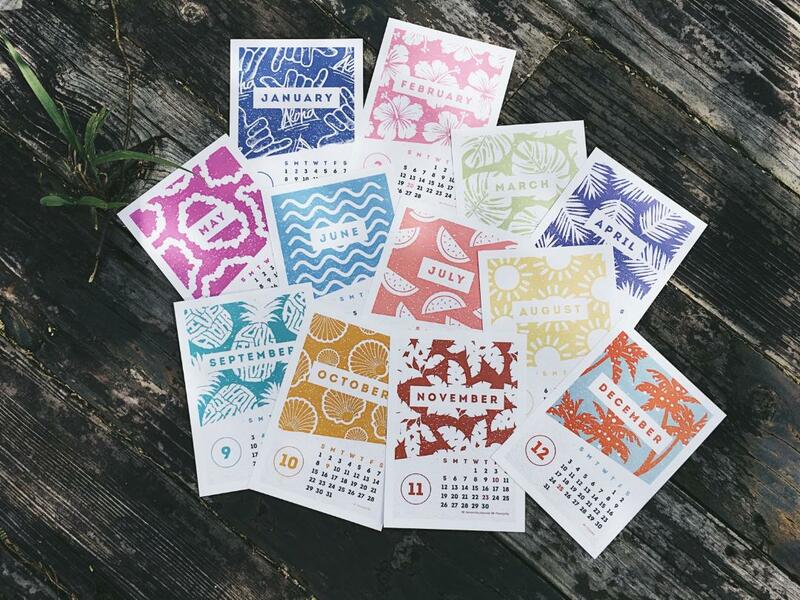 We have sold out of all of our printed copies but this calendar is still available for pre-order at revooahu.storenvy.com. Thank you Nelly for the photos!